In 2018-2019, a generous grant from CE&S helped foster a partnership with W.E.B. DuBois Academy and the Muhammad Ali Center. 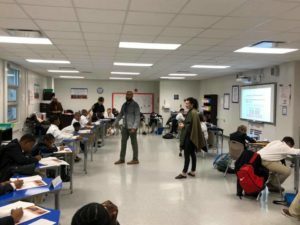 The Ali Center’s Education Team will spend one week each month at the DuBois school to implement the “Creating Our Futures” Character Education Program with the entire 6th grade body. In addition, the students will complete service projects, and will have the opportunity to participate in We Day Kentucky. 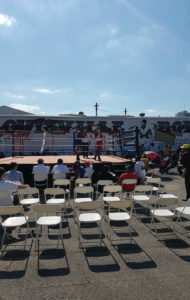 The program will culminate with a fieldtrip to the Muhammad Ali Center. WE Day is the manifestation of the WE movement, an ocean of people coming together to create impact. Standing in a stadium full of change-makers will reaffirm your belief that a better world is possible. WE Day brings world-renowned speakers and A-list performers together with tens of thousands of young people to celebrate their contributions and kick-start another year of inspiration. 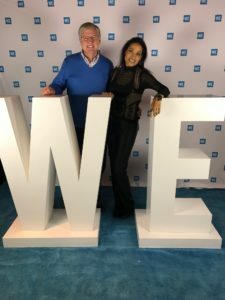 Beginning as a single event nearly ten years ago, WE Day has evolved into a series of 19 stadium-sized events held across the United States, Canada, the UK and the Caribbean. This past year, 200,000 students attended WE Day and left inspired to create change both locally and globally. WE Movement founder, Craig Kielburger was a Muhammad Ali Humanitarian Six Core Principle Award recipient in 2013. 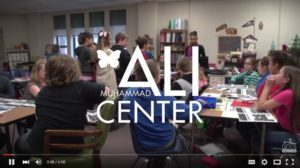 The Global Game Changers and the Muhammad Ali Center, whose closely aligned missions to empower youth with the tools for a successful life, are collaborating to pilot a high quality out-of-school time expanded learning opportunity that will have a lifelong impact on our community’s most underserved population. Believing that out-of-school time presents a unique opportunity to change a child’s life, our goal is to specifically address inequities caused, in part, by the 6000-hour “enrichment gap” experienced by lower income and minority families by the time they reach 6th grade. This gap, which compounds the “achievement gap,” puts these young people even further behind their well-advantaged peers through inequalities created by lack of access to quality afterschool programs, summer camps, preschool education, extracurriculars, enrichment, and parent interaction. Fifty students in grades K-5th grade from Jefferson County Public Schools (JCPS) Whitney Young Elementary in Louisville’s West End will spend every afternoon at the Muhammad Ali Center for 16 weeks immersed in the Global Game Changers interactive educational program that will allow them to discover their inner superpower to make the world a better place, using the equation: MY TALENT + MY HEART = MY SUPERPOWER. Click here to read the press release and here to watch a video about the program! In 2013-2014, the Armstrong Gift for High Ability Education, an eBay Grant, and Your Community Bank donation were used to bring together a joint venture between Greater Clark County Schools and the Muhammad Ali Center to create a “Leadership Academy” for 5th- and 6th-grade highly able students, utilizing the Center’s Character Education program, “Creating Our Futures.” The outcomes of this initial partnership were so successful that in 2014-2015, GCCS expanded our partnership to three grade levels including 5th, 6th, and 7th grades. As such, in October 2014, the Education Team was thrilled to head back into the GCCS middles schools. 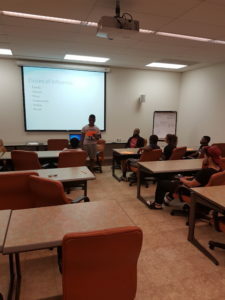 Over four, very full days, our three Education staff conducted 20 middle school classes reaching over 500 students. In addition, our staff trained a coalition of retired teachers who implemented the “Respect” curriculum in elementary classes throughout the school year. For 2015-2016, MAC programming will take place with 6th-grade advanced ELA classes in November and again in the spring. 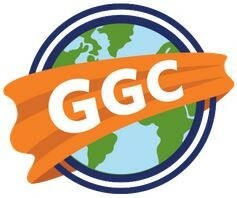 For more information visit the GCCS website, and click the image below to watch the video! Kindergarten Countdown is a partnership between Metro United Way, Louisville Metro, LFPL, JCPS, and PNC Bank with support from cultural and educational institutions throughout the county. The goal of Kindergarten Countdown is to support children’s transitions into kindergarten. 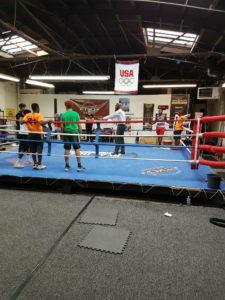 "CHAMPIONS AREN'T MADE IN GYMS"
The Muhammad Ali Center, in collaboration with Louisville TKO Boxing Gym will pilot a 4 week, cohort based initiative known as “Champions Aren’t Made In Gyms”. 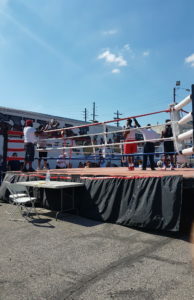 This program will work with young, at-risk, teenage athletes to not only hone their gifts in the ring, but to provide them the tools to for a successful future in their communities. It is the hope of the program to make these young scholar-athletes ambassadors of The Champs’ message of justice, humanitarianism and global citizenship. For more information or to volunteer with this program, please contact Darryl Young, dyoung@alicenter.org. 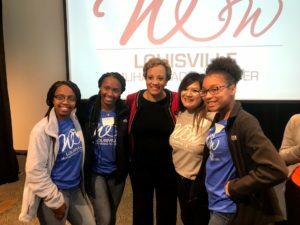 On October 15, 2018 the Muhammad Ali Center partnered with Donna Orender (2017 Daughter of Greatness) and Generation W to introduce Generation WOW, a girls mentoring program, to Louisville. Through this powerful partnership, the Muhammad Ali Center empowered 400 JCPS teenagers and 200 professional women through a comprehensive leadership and mentorship program. 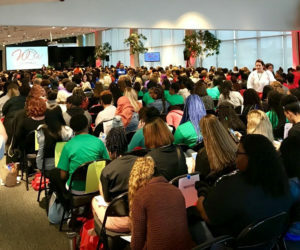 Generation WOW exposes girls to the positive and the possible and is about creating opportunities that help build the future leaders of the world by connecting them to the leaders of today. Focused on lessons and activities from the book, WOWsdom!​ The Girls Guide to the Positive and the Possible, girls learn ways to build self-confidence, cultivate independence, healthy living, leadership, service and mentorship, the goal of Generation WOW is to provide a trusted and inspiring experience that will forge relationships, inspire dreams, and deliver results that enhance lives. A relationship with Generation WOW is a visible and demonstrable statement in the belief that unlocking the potential of our youth, particularly young women, is to our collective betterment. If you are interested in learning more about Generation WOW sponsorship opportunities, please email Erin Herbert at eherbert@alicenter.org.